Simple to Use, Easy to Learn ACORD forms Software. If you have not paid to renew your Forms Boss Plus 2018 subscription, please call 800-208-1977. 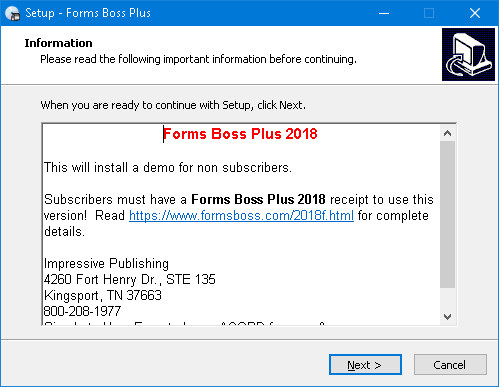 After purchasing, you will receive a Forms Boss Plus 2018 Receipt email. Close Forms Boss Plus on all computers. Make a backup of your data. Here are the steps for backing up your data. Complete all the below steps one computer at a time! The software will be a demo for nonsubscribers. If you would like to purchase a Forms Boss Plus 2018 subscription, please call 800-208-1977. Run the setup2018.exe file after the download has completed. Next, a Windows message may appear that says "Do you want to allow this app to make changes to your device?". Click Yes. The Setup dialog should appear, click Next. Choose the folder to install the program files. c:\fbp is recommended. Click Next. 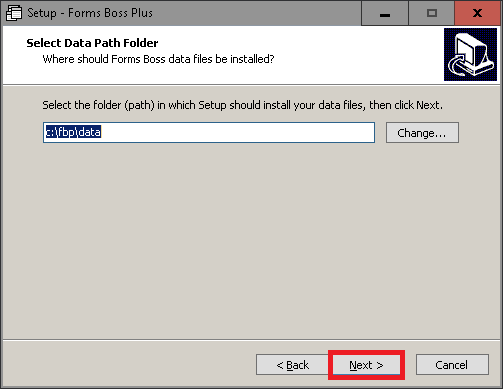 The upgrade will automatically set the data folder location using your existing Forms Boss configuration. See Database Networking for complete steps on sharing data on your office computers. Click Install and the setup will start copying files. The prompt to convert will only occur when upgrading from last year's software. 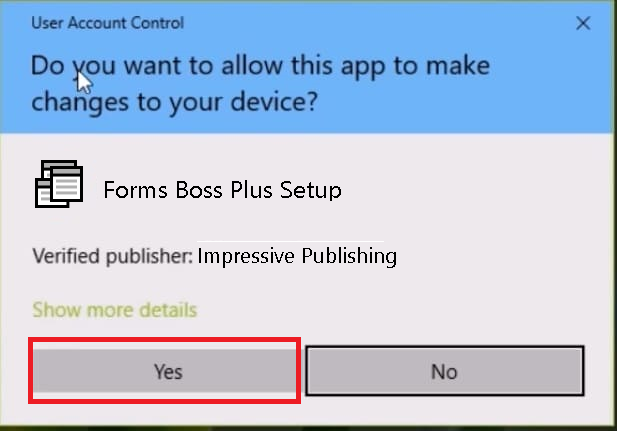 Make sure Forms Boss Plus is not open on any computer. 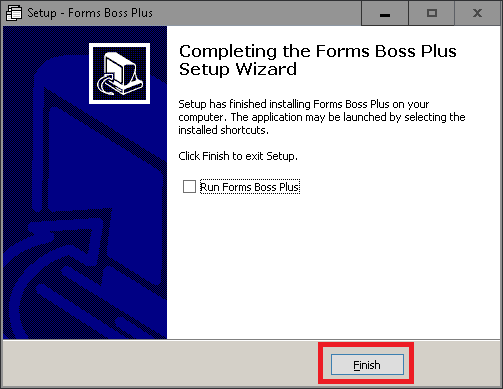 Double-click the Forms Boss desktop. A message stating that the "Oops, the data fields are the wrong version" Click OK. 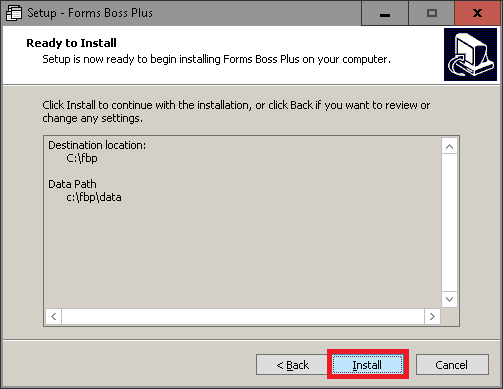 When the Forms Boss Plus Convert Previous Version is open, click the Convert button. This can take a few minutes depending on the amount of data you have entered. When it has finished, "I am through convert the Data Files" appears. Click the OK button. 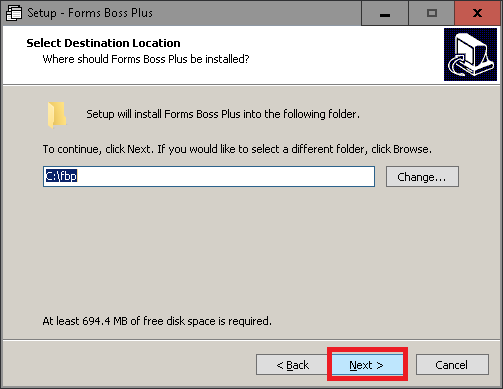 Start Forms Boss Plus, by double-clicking your desktop icon. When opening the new version for the first time, a dialog will appear for you to enter your agency name. Enter it exactly as it appears on your paid receipt email. It is case-sensitive and punctuation-sensitive! Click Help, Open Agency Setup Form from the menu bar at the top of the screen. Demo mode does not require entering registration numbers. You can skip the following steps. Next, you will see a dialog to enter your Registration Number. Enter the registration number that shows on your paid receipt email. Next, you will see a dialog to enter your Management Option Number. Enter the Management Option Number that shows on your paid receipt email. Click the OK button. Finally, click the OK button on the two dialogs that appear.